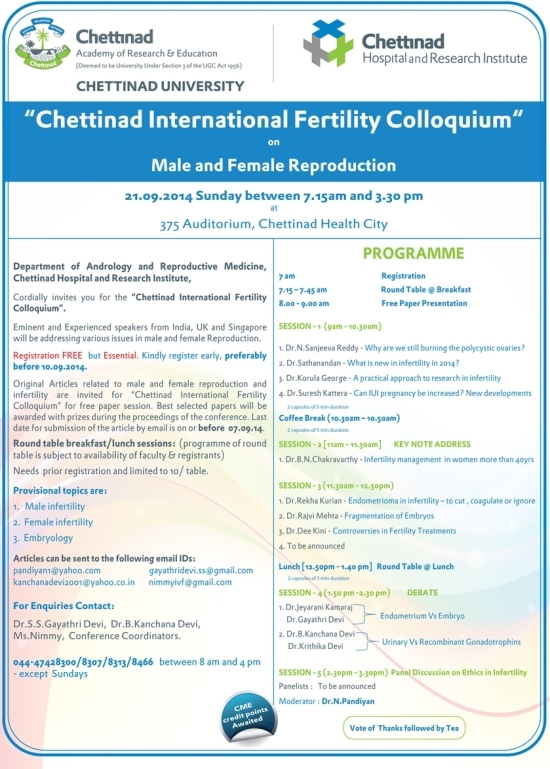 2nd announcement - "Chettinad International Fertility Colloquium-2014"
Eminent and Experienced speakers will be addressing various issues in male and female Reproduction. Registration free but Essential. Kindly register early, preferably before 10/9/14. 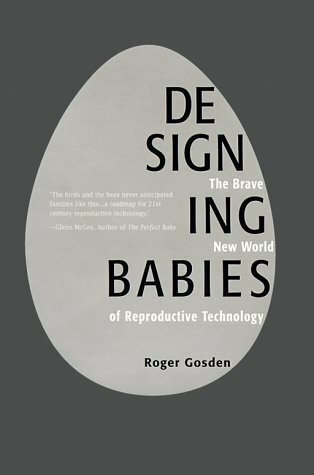 Eligible participants are infertility specialists,embryologists, gynecologists, endocrinologists,geneticists and general practitioners. Dr.S.S.Gayathri Devi, Dr.B.Kanchana Devi, Ms.Nimmy, Department coordinators. 044-47428300/07/13/8466 between 8am and 4pm - except Sundays.